There is one thing that God, the Father of Creation, has given in our tool belts as something that is always there for our use, against evil and its ways…it is His Direct Link to Him….which Jesus Christ (Yeshu Cristu, Yeshuay) reestablished on the Cross at Calvary….through prayer. A heart that humbly comes to the feet of the Father of Creation, will always go noticed…and words always heard from a soul that is faithfully seeking and loving Him. As any father would do for their child, God, the Father of all Creation is no different. And many of us either forget this, or under-utilize this. Instead, we only use it when it is absolutely necessary….in moments that are selfish, full of fear, and unholy. Prayer is not formal. Prayer is not a rehearsed prayer, where it becomes automated like a robot being automated in doing its tasks. It should come from a heart that loves God, with all of its might; and a soul that yearns and only has peace when in communion with the Father of Creation…the source of its existence. Prayer is a moment of conversation with the Father of Creation…it is a dialogue. As human beings, we need an instant result in the rewards we receive in our dedication and faithfulness. However, since when does the Creator conform to the definitions of His Creation? If people truly understood the power in prayer, many may do it more often. But then again, will it be done for the right reason…that is the question? May this is what God, the Father of Creation wants us to find our for ourselves. Do we truly surrender to His Will of our lives, or do we just say that in words. God, the Father of Creation, give us the choice through our freewill, everyday as we wake up to another day to live, whether we choose to entrust our lives and souls to His Care….or do we fall to the deception of evil, and believe that we are in complete control of our destinies….Just look outside of your windows…did Man make what is outside, living..thriving,..surviving each day? From the trees, green grass, and fragrant and colorful flowers in the ground, to the clouds and birds in the sky…..He shows us His Existence in our lives everyday….yet how many of us say “thank you”, let alone, have a conversation with Him. Yet when someone gives us a birthday present or random gift of appreciation…we have the etiquette to say that to another human being. When we have a great day…how many times do take then to do the same…only with sad….frustrating…and even desparate moments of despair…when we need something of Him. However, He still never gives up hope in wanting to hear from us…He doesn’t punish us or hold it over our heads because we don’t do this. With each moment we have living on this earth, God gives us this opportunity to talk with….because this is how much, as our Father….He loves us. Evil would like for us to think that God, the Father of Creation….is evil…and that He is unreasonable…and that He puts so many rules on us, that He wants to have a boring and sad life, full of shackles and restrictions. Do the animals in the wild have this problem? Do the trees, plants and flowers in nature have this problem? The fish in the oceans and seas? All those who do not have this freewill, still thrive….vibrantly through their lives. Evil wants us to believe otherwise…to mislead us in God’s intentions for us. He loves us so unconditionally to the point of wiping our slates clean…..if we repent with a truthful spirit and heart for our mistakes that rebelled against His Divine Laws of Unconditional Love. He give us this opportunity everyday. He even sent His Own Son, to take on our punishment, as His….so that we would not have to go through it. We just have to make the choice, everyday we live, until our last breath. The power of prayer. I have noticed within my own life, that with each time I spend with God, the Father of Creation….He give me an inner peace that is unexplainable. He reassures me that He will take care of me. While the world may seems lonesome at times….He always shows me that He is always there beside me, and then I never feel alone. The power of prayer. He gives strength, when to most it would be crazy to face certain situations on one’s own, and even to love in the most purest form….unconditionally. God, the Father of Creation provides in our secret prayer closets, nuggets of His Wisdom to the Ways of the Eternal Kingdom…conversations between a Father and His Child, and dotes on them with His Gifts, to which are in no comparison to the riches of anything the earth could offer. He reminds His Children, in their prayer closets, the Promises that He had made in Jesus Christ, His Son. The power of prayer. Prayer is what allows for God to communicate with Children the secrets to the Eternal Kingdom He has in store for all of Mankind, and the promises He has made for one day…all injustice done to them will one day bow down to Him…..As God’s Children….we must know the power of prayer. 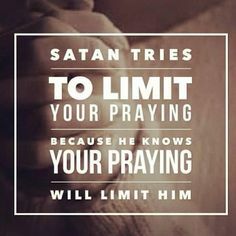 It is so easy to get caught up with the ways of this world…..with your job….and life circumstances….with people in one’s life….this is how much evil wants you to forget about the power of prayer. We must never forget it…and what God can show us through them…..Jesus Christ did with His Own Life. He believed in it so much as to show us to the point in dying to make sure we can have access to Him, and the Father of Creation. We should never forget that. This entry was posted in Thoughts and tagged A call to help fellow man, Armor of God, Battling Evil, compassion, discernment, enduring trials, evil ways are temporary, Faith, Fight over souls (good vs. evil), God's Love, God's Promise, God's ways are permanent, Guidance of Holy Spirit, Guidance of the Life Teachings of Jesus Christ, Holy Spirit, Holy Spirit Guidance, Jesu, Jesus, Jesus and His Crucifixion, Leading of the Holy Spirit, Listen for God's Call, Love, Overcoming Trials through the Holy Spirit=God's Divine Tools for Ministry, Path to Truth, Refiner's Fire, Satan's deception, Self Refinement, Spiritual Battles, Spiritual Journey, Steadfast Faith, Take up your Cross, Trials and Tribulations, Unconditional Love, Yeshuay, Yesu Cristu on May 13, 2015 by foodforthespiritualsoul.